Vegas Vacation and Baby Boy! Last week, my work hosted a conference in Las Vegas. The work leading up to it explains my lack of blog posts for the past month. Jimmy & Addie flew down to meet me on Friday which made the trip so much better. And, I must say, I’m impressed that Jimmy took on flying alone with Addie. She’s a great traveler, but hauling a 20 pound kid around the Vegas airport with two bags, not to mention maneuvering them through a crowded Vegas hotel isn’t an easy task! We had such a fun weekend visiting family and good friends. 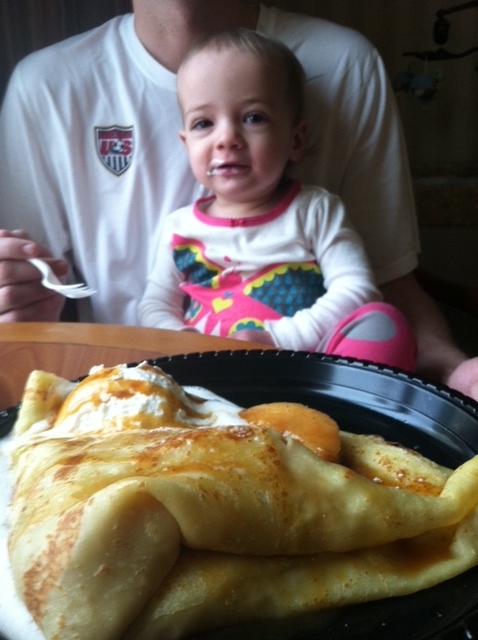 Addie was on a sugar high for most of the weekend after starting her Saturday with a fruit tart and a dessert crepe on top of that! 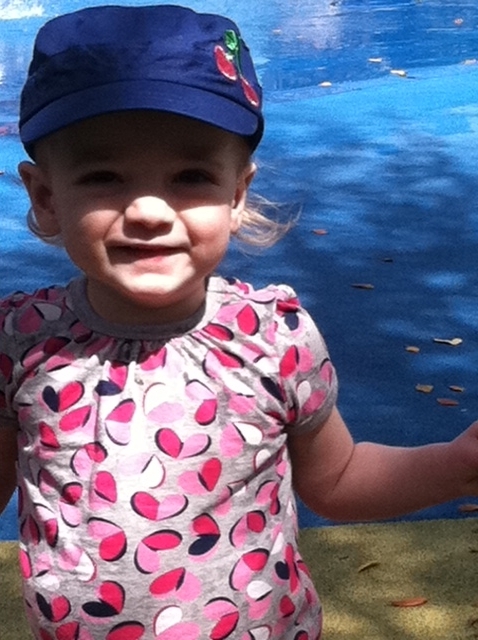 She had a great time walking around at Town Square and even spent a little time playing in the kid’s area. 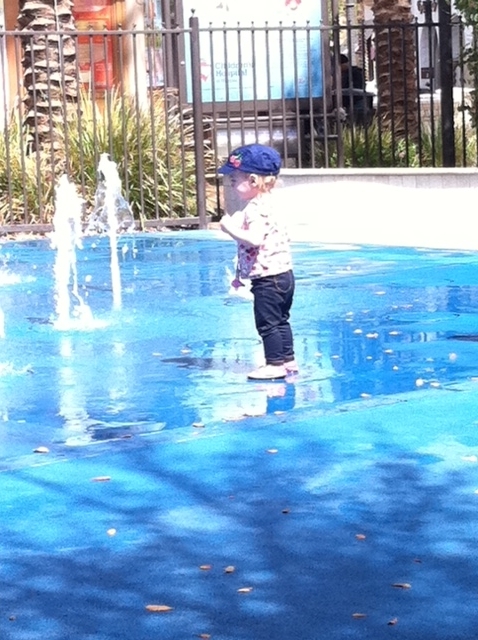 She loved the water feature and wanted to hop on the little spinny toy with the big kids. By Sunday she was worn out though. We’re all pretty glad to be home in our own beds! 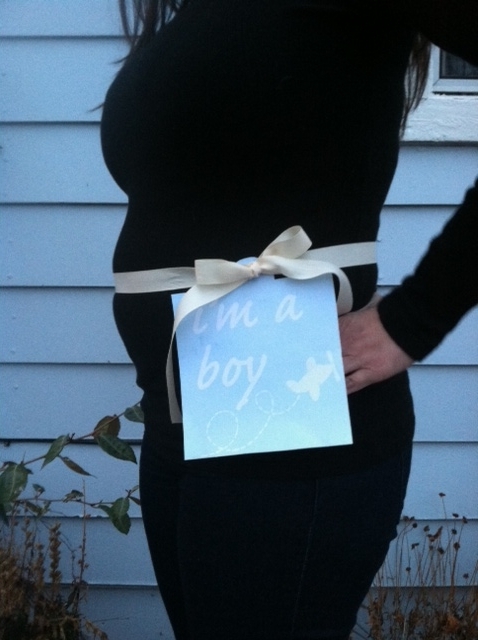 In other exciting news, we found out that our new addition is a boy! Official due date is July 29. We have a super-cute nursery theme in the works, but need a name for this little one. I don’t want him to be born nameless like Addie! Hopefully we can decide soon so we can get monogrammed stuff this time around.